Green Oasis, Inc. proudly offers you an Eco-Friendly Green Cleaning Service in Raleigh and surrounding areas in North Carolina. First of all, Why should you consider an Eco-Friendly Green Cleaning Service? Because each of us has a daily impact on the environment all around us. The choices that we make today influence the future that we all share tomorrow. That is exactly why Green Oasis, Inc. uses only the most advanced and the most efficient EPA (Environmental Protection Agency) approved products. Therefore, we are proud to bring you an environmentally friendly company that is price competitive with companies that are using less bio friendly methods. All of our eco-friendly cleaning products are tested for maximum efficiency and are made from all natural ingredients and renewable resources. We combine environmentally friendly cleaning products, equipment, process and training to provide our clients with a clean, healthy and productive environment. Green cleaning programs especially promote health, safety and social consciousness. Also it improves indoor air quality, recycling and minimizing the use of raw materials and toxic products that require disposal. We provide you with facility specific green cleaning program created specially for your facility. Non-toxic, biodegradable certified green cleaning products to minimize the impact on human health and the environment. HEPA filter vacuum cleaners and floor equipment that decrease dust. energy usage and cleaning solution waste, improving the working environment for all your employees. Green cleaning also helps to decrease air pollution, water pollution, ozone depletion and global climate change. Increases worker satisfaction, improves employee morale, reduces absenteeism and promotes productivity, efficiency and retention. 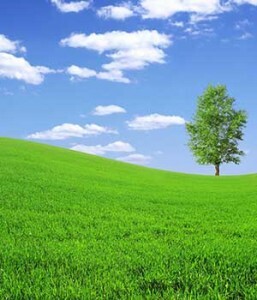 Benefits of green cleaning programs are well documented. As a result, it reduces health problems associated with allergens, chemical sensitivities and contaminants, such as mold and bacteria.